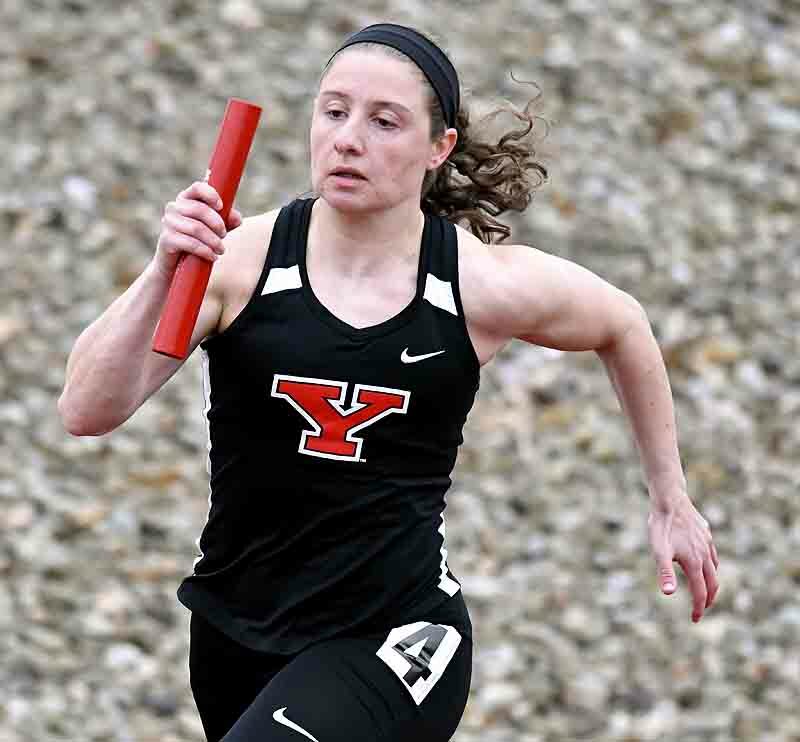 Special to Tribune Chronicle / Robert Hayes Former John F. Kennedy High School standout Antonella LaMonica runs during the winning 4x100-meter women’s relay on April 5 in Youngstown. YOUNGSTOWN — Antonella LaMonica spent most of her high school career as an individual female runner, setting standards at John F. Kennedy High School. 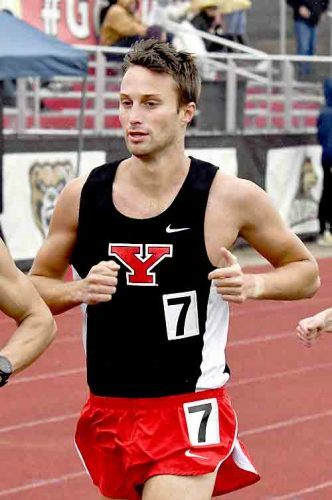 Now, the Youngstown State University sophomore sees something new at the YSU campus — teammates. She runs the 100- and 200-meter dashes and is an integral part of the 4×100 relay, which won at the April 5 Northeast Ohio Quad Meet. LaMonica, Surethia Henderson, Jaliyah Elliott and Teneisha Myers won in 46.62 seconds. “We did a pretty good time for our first time with not having hand-offs too much,” LaMonica said. Former JFK runners Chad Zallow, who is one of the nation’s best hurdlers, and Jacob Coates, a member of the football team, are on campus as well. She’s also friends with former Brookfield standout and YSU freshman Claire Vendemia. “It’s nice seeing a lot of locals come to YSU and be together as a team,” LaMonica said. The former JFK standout is looking to break her personal records of 12.4 seconds in the 100 and 25.7 in the 200. That meet was her first time on YSU’s outdoor facility. 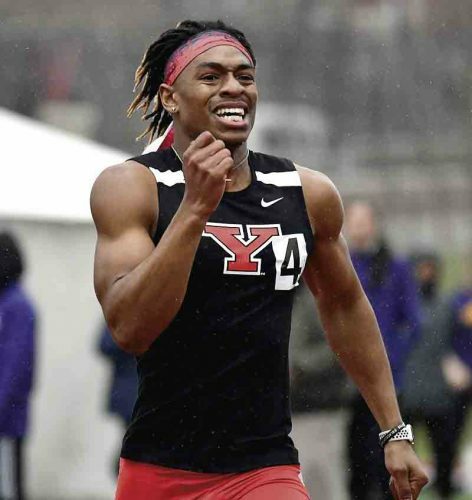 As for the 4×100, it will be one of the favorites of the Horizon League Championships back at YSU. “In the 4×100, I’m hoping we win conference,” LaMonica said. 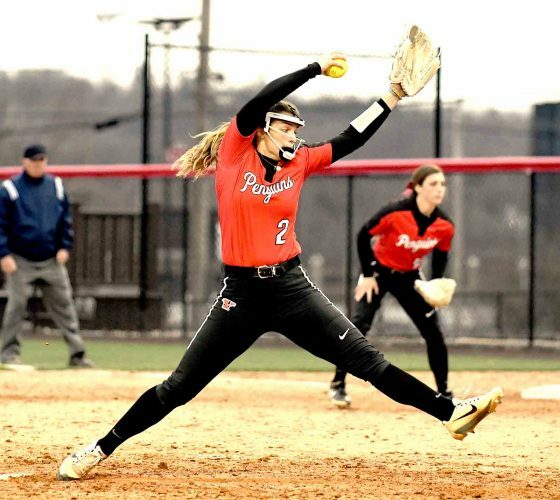 This YSU experience is something she is cherishing. “I like being part of a big team,” LaMonica said. “Everyone helps you and pushes you. They’re always supportive. It’s the real deal in college. A lot of fast people, a lot of competition.